In this study, a novel strategy based on the integration of differential algebraic spectral theory (DAST) and spectral Lyapunov function is presented to analyze and design a time-varying extended state observer (TESO) for a class of nonlinear systems with unknown dynamics. The simultaneous estimation of the lumped disturbance and state vectors are achieved by using a TESO based on the time-varying parallel differential (PD) eigenvalues of the observer. The observer bandwidth design is based on the combination of DAST and spectral Lyapunov function. By using this method, a systematic approach is derived to obtain the observer parameters, which improves boundedness of the observer estimation error in terms of transient and persistent performance. 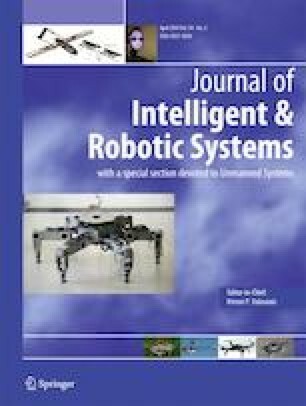 A comparison between TESO and previous similar methods is provided in the simulation part upon the TMUBOT quadruped robot dynamic model which indicates a distinguished answer in the estimation error of the TESO. Moreover, by applying the proposed algorithm to the TMUBOT robot, the superiority of the algorithm in practical schemes will be illustrated.